VW has said production of its Golf model in Wolfsburg, shown, has been hit by supply problems. HAMBURG -- Volkswagen Group will cut working hours for more than 10,000 staff at its Wolfsburg base and reduce output at two more German sites, a source close to the company said, as the automaker faces problems caused by a dispute with a supplier. VW had said on Wednesday that production of its Golf model at Wolfsburg was being hit because supplier ES Automobilguss GmbH has stopped delivering cast iron parts needed to make gearboxes. A spokesman for ES Automobilguss said by email: "Our consortium is in a legal dispute with Volkswagen and is obliged maintain confidentiality." He gave no further details. A spokesman at Volkswagen's Wolfsburg headquarters said shortening staff hours were a possible response to supply problems but a decision has not been made yet. The plans to shorten hours at the Wolfsburg factory, which employs 60,000 people, marks the latest escalation in a supplier row that is causing problems in operating business while Volkswagen tries to recover from its diesel-emissions scandal. The other two plants affected by shorter working hours are VW's gearbox-making facility in Kassel and a car plant in the eastern German city of Zwickau, according to the person. 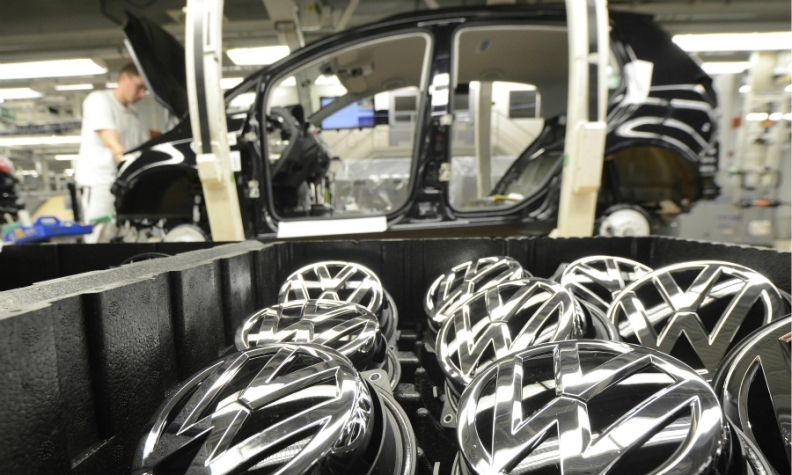 The disruptions coincide with similar problems in Emden, VW's northern German plant where supplier Car Trim, a sister company of ES Automobilguss, stopped deliveries of seat covers earlier this month. Both firms are part of Wolfsburg-based Prevent DEV. Prevent has not responded to a Reuters' request to comment. VW has idled its Emden plant for five days from Aug. 18-24, affecting around 8,000 of its 9,000 workers per day and losing production of 6,250 cars, a VW spokesman said. Grappling with an emissions-test cheating scandal that is costing VW billions of euros, VW is expected by analysts to seek price cuts from its suppliers to mitigate those costs. VW said in June it would integrate components units with the goal of saving costs and boosting efficiency from a single management and unified strategy. VW's engine plant in Salzgitter declined to comment on possible repercussions on production while spokespeople at a commercial-vehicle factory in Hanover and a component plant in Brunswick had no immediate comments.